Description: Two tone plated textured clam ring in shiny finish with pave crystals. Clam sits on a high polish band. A reminder of beauty in nature, this very light and comfortable ring makes a statement and brings joy and sparkle through out the day. 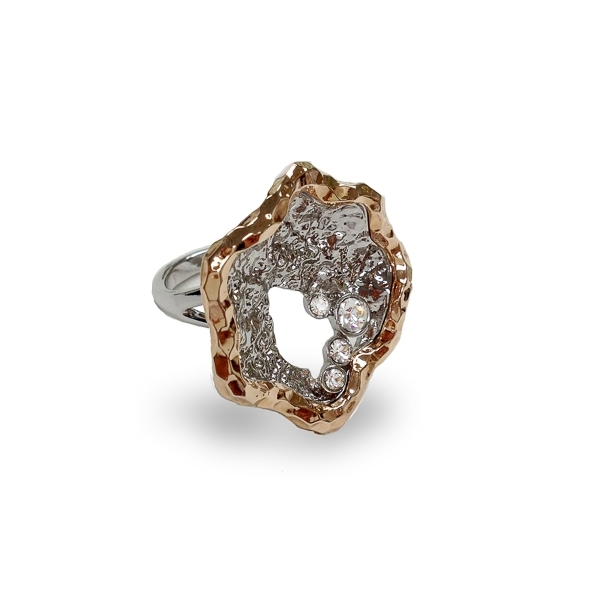 Material and Measurements: Rose Gold Plated and Rhodium Plated Base Metal, Crystals - Focal Point 1" X 1"